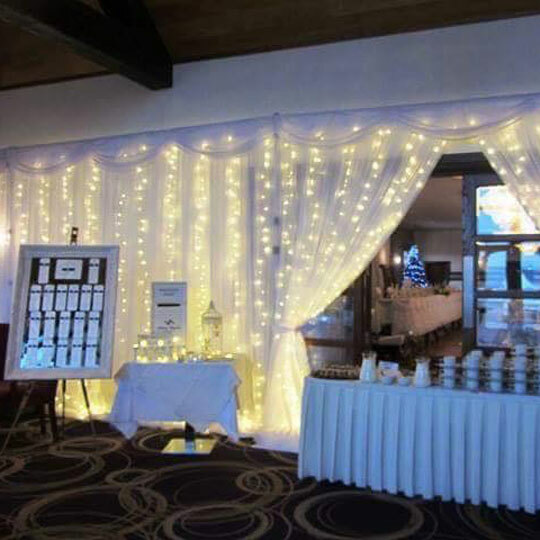 Eventful are one of the leading suppliers of Backdrops the Northwest and Donegal. 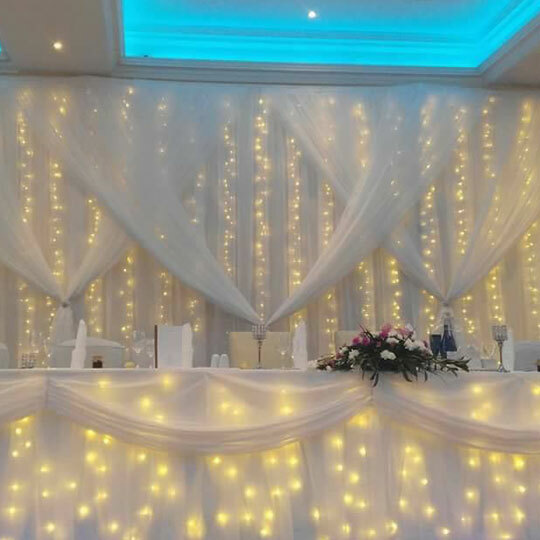 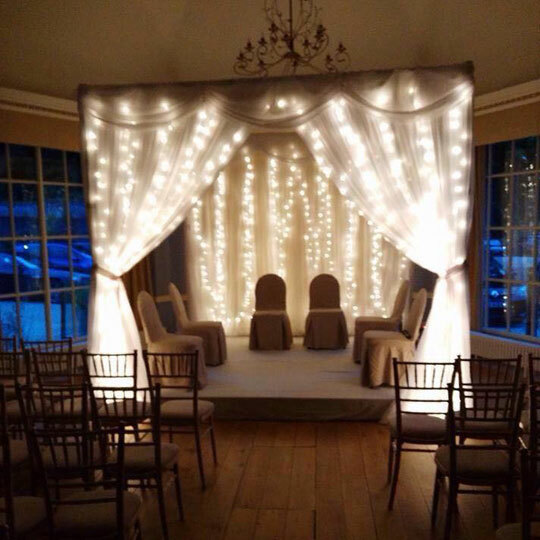 From the more traditional starlight curtains with a three piece overlay and swags, to the spectacular draping fairy-light backdrop with the exquisite romance overlay. 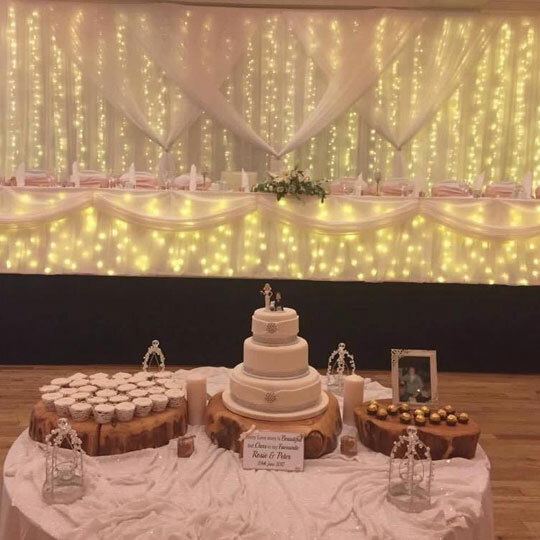 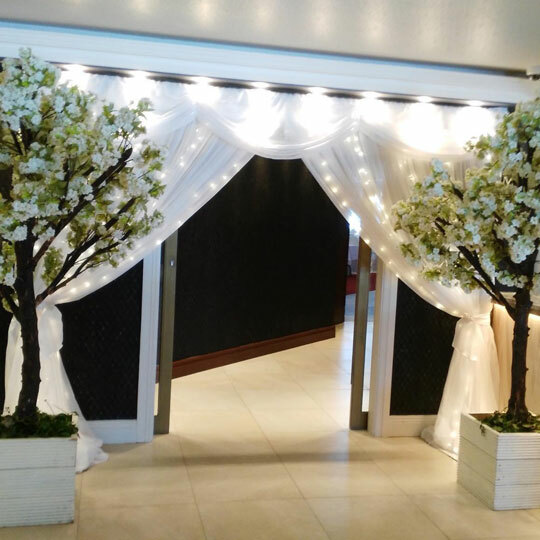 Our backdrops have been designed exclusively for Eventful to be ahead of the local trends and to give our couples the best setting for their unique day. 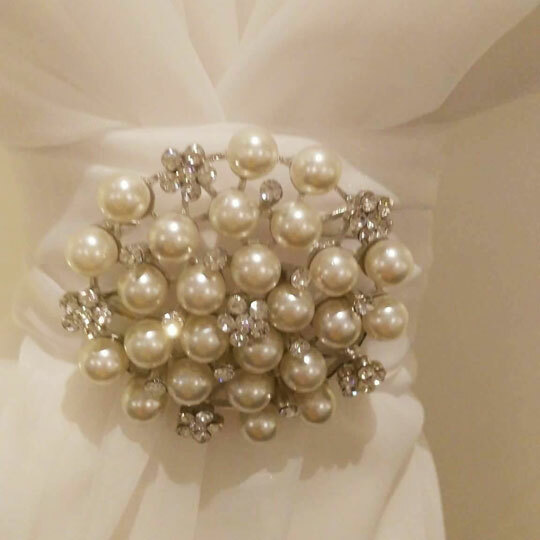 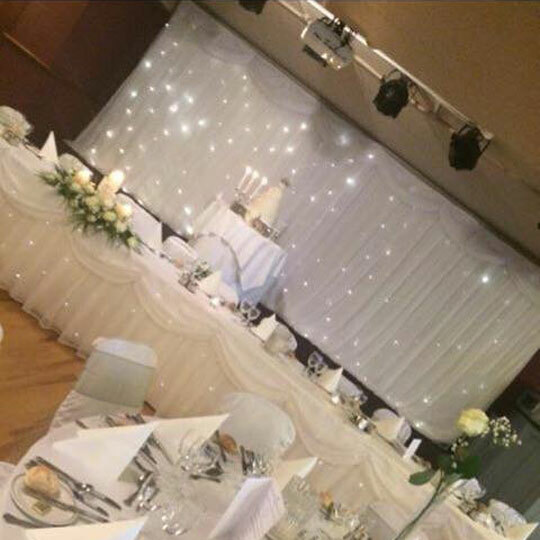 Our backdrops come with matching table skirts for enhancing your Top table and adding a touch of class to your stage. 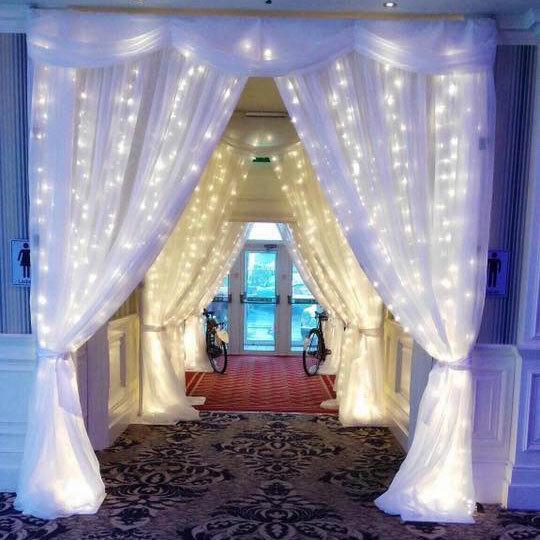 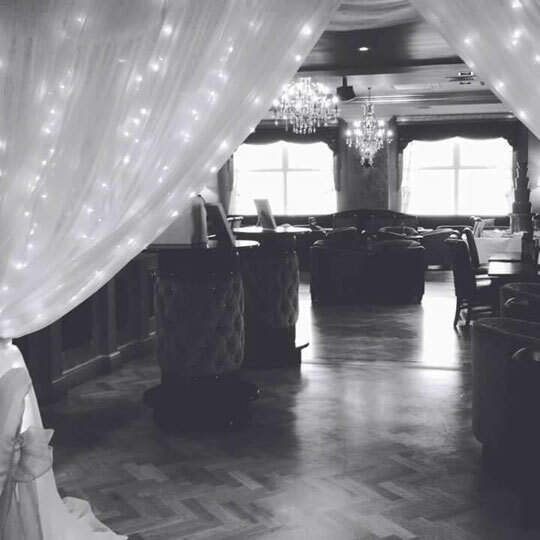 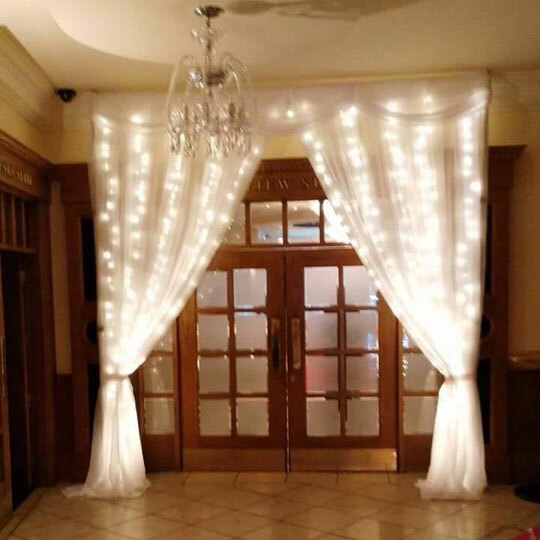 With the popularity of entrance curtains increasing, Eventful offers unique curtain options depending on your venue, from one entrance curtain for a simple statement of class, to multiple curtains lighting up darker areas of your venues and other entrances for maximum effect. 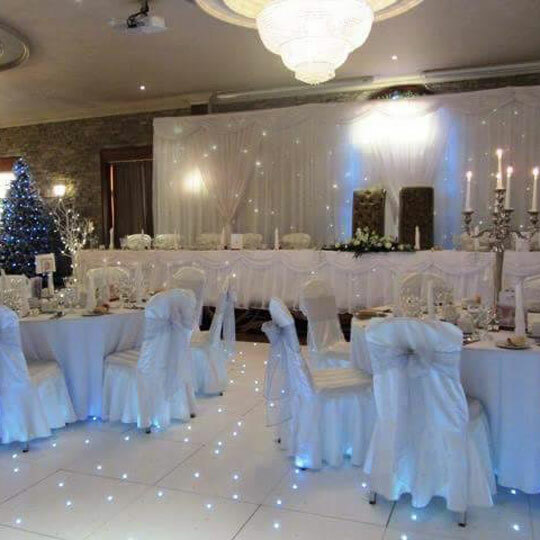 Please contact us today for packages available.